Improved Streaming and support for Xbox One. New hardware acceleration for Intel. Added support for subtitles. 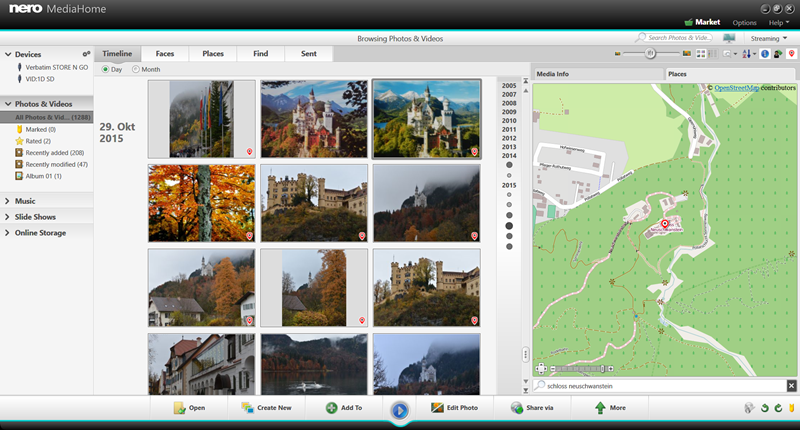 Nero, Nero MediaHome, MediaHome, free, manager, photos, music, video Nero MediaHome is the easy and free media manager for your photos, music and video. The complete, all-in-one source lets you manage, edit, play, share, sync, stream and enjoy your media without the hassles of complicated technology.